A combination of alternative energy and computational modelling developed by CSIRO in collaboration with Horticulture Australia Limited (HAL) and the Australian Prune Industry Association has cut energy requirements by 60 per cent in some areas of food processing. This is how the ever rising need for energy can be halted and reversed. In most process industries (and in the home) there are always alternative ways of doing things. We are not talking about alternative energy we are talking alternative strategies. My pet favorite is air conditioning. The hotter the country the more need for air con - BUT, solar thermal assisted air con works really well in hotter locations. And it uses over 50% less electricity than 'traditional' air con systems. But the Prune Industry Advisory Committee Chair Malcolm Taylor said reducing the cost of the dehydration process was of major interest. "We were very interested in working with HAL and CSIRO to improve the cost efficiency of dehydration as it is a major proportion of total production costs," Mr Taylor said. "Through this research, we expect companies will see major savings in energy, money and green house gas emissions as well as increases in throughput." CSIRO’s Dr Henry Sabarez said that through experimental investigations at laboratory and commercial scale, assessment of operational practices pluscomputer modelling of dehydration tunnel design and performance, significant increases in energy efficiency and throughput had been made. "In addition, further energy savings are likely with retrofitting of both heat recovery and solar-based heating systems in existing dehydrators," Dr Sabarez said. "Working with the prune industry has shown the real bottom-line benefits that are possible from this approach. Other parts of the food processing industry, and indeed other processing industries, will also benefit." In the Solar Thermal Electrochemical Photo (STEP) carbon capture process, the sun’s visible light and heat are used to capture large amounts of carbon dioxide from the atmosphere and convert it to solid carbon for storage or carbon monoxide for fuel generation. Image copyright: Stuart Licht, et al. ©2010 American Chemical Society. By using the sun's visible light and heat to power an electrolysis cell that captures and converts carbon dioxide from the air, a new technique could impressively clean the atmosphere and produce fuel feedstock at the same time. The key advantage of the new solar carbon capture process is that it simultaneously uses the solar visible and solar thermal components, whereas the latter is usually regarded as detrimental due to the degradation that heat causes to photovoltaic materials. However, the new method uses the sun’s heat to convert more solar energy into carbon than either photovoltaic or solar thermal processes alone. The new process, called Solar Thermal Electrochemical Photo (STEP) carbon capture, was recently suggested theoretically by a team of scientists from George Washington University and Howard University, both in Washington, DC. Now, in a paper just published in The Journal of Physical Chemistry Letters, the scientists have experimentally demonstrated the STEP process for the first time. As the scientists explain, the process uses visible sunlight to power an electrolysis cell for splitting carbon dioxide, and also uses solar thermal energy to heat the cell in order to decrease the energy required for this conversion process. The electrolysis cell splits carbon dioxide into either solid carbon (when the reaction occurs at temperatures between 750°C and 850°C) or carbon monoxide (when the reaction occurs at temperatures above 950°C). These kinds of temperatures are much higher than those typically used for carbon-splitting electrolysis reactions (e.g., 25°C), but the advantage of reactions at higher temperatures is that they require less energy to power the reaction than at lower temperatures. 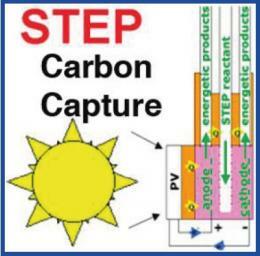 The STEP process is the first and only method that incorporates both visible and thermal energy from the sun for carbon capture. Radiation from the full solar spectrum - including heat - is not usually considered an advantage in solar technologies due to heat’s damage to photovoltaics. Even in the best solar cells, a large part of sunlight is discarded as intrinsically insufficient to drive solar cells as it is sub-bandgap, and so it is lost as waste heat. By showing how to take advantage of both the sun’s heat and light for capturing and splitting carbon dioxide, the STEP process is fundamentally capable of converting more solar energy than either photovoltaic or solar thermal processes alone. The experiments in this study showed that the technique could capture carbon dioxide and convert it into carbon with a solar efficiency from 34% to 50%, depending on the thermal component. While carbon could be stored, the production of carbon monoxide could later be used to synthesize jet, kerosene, and diesel fuels, with the help of hydrogen generated by STEP water splitting. “We are exploring the STEP generation of synthetic jet fuel and synthetic diesel,” Licht said, “and in addition to carbon capture, we are developing STEP processes to generate the staples predicted in our original theory, such as a variety of metals and bleach." Researchers from TU Delft in the Netherlands have shown how the energy yield of relatively cheap solar panels, made of amorphous silicon, can be considerably raised: from around 7 percent to 9 percent. Researcher Gijs van Elzakker focused on solar panels that are made from so-called amorphous silicon, as opposed to the more commonly used crystalline silicon. Amorphous silicon has the great advantage that the solar panels can be produced relatively cheaply using a very thin layer of silicon (thin film solar cells). The major disadvantage of solar panels made with amorphous silicon is that their yield is relatively low. While crystalline silicon achieves a yield of around 18 percent, amorphous silicon, until recently, remained at around 7 percent. This is partly because the amorphous silicon panels suffer from the so-called Staebler-Wronski effect. This phenomenon, which has still not been fully explained by science, manifests itself in the first hours that the panels are exposed to sunlight. Because of this the yield falls by around a third, from around 10 percent to around 7 percent. In his doctoral research Gijs van Elzakker investigated adaptations in the production process that could raise the yield. The silicon layer in the solar panels he studied is made of silane gas (SiH4). The structure of the silicon layer can be changed by diluting this silane gas with hydrogen during the production process. The use of hydrogen appears to enable the reduction of the negative Staebler-Wronski effect. Van Elzakker concentrated, among other factors, on the proportion of hydrogen to silane gas. He determined the optimum ratio of hydrogen to silane in the production process. Van Elzakker: "We showed that the influence of the Staebler-Wronski effect can be considerably reduced in this way. If this knowledge is applied in the manufacture of this type of solar cells, a yield of 9 per cent can be expected." Gijs van Elzakker's findings are already being applied on the production line of the German company Inventux Technologies, where he now works. More information: Gijs van Elzakker will obtain his PhD on this subject from TU Delft on Tuesday 6 July. Presidential Professor John Johnson of Michigan Technological University served on the two committees that evaluated various technologies to reduce and improve fuel consumption. One focused on medium- and heavy-duty vehicles, such as tractor-trailers, transit buses and work trucks. The other addressed fuel consumption in passenger cars, sport-utility vehicles, minivans and other light-duty vehicles. The medium- and heavy-duty vehicle report also recommends approaches that manufacturers and federal agencies can consider as they develop fuel consumption regulations. Congress began regulating the fuel economy of cars and light-duty trucks back in 1975, but there are no such standards for buses and big trucks, which account for about 26 percent of the transportation fuelused in the US. At a May 21 Rose Garden press conference, President Barak Obama signed a memorandum on fuel efficiency standards directing the EPA and the National Highway Transportation Safety Agency to enact new standards in 2014 for medium- and heavy-duty vehicles and for light-duty vehicles for 2017-25 based on the reports' findings. The report recommends that any regulation of medium- and heavy-duty vehicles should reflect the efficiency with which a vehicle moves goods or passengers, such as gallons per ton-100 mile, a unit that reflects the amount of fuel a vehicle would use to carry a ton of goods 100 miles. "This is going to bring down the costs for transporting goods, serving businesses and consumers alike," Obama said of the impending standards for heavy- and medium-duty vehicles. "It will reduce pollution, given that freight vehicles produce roughly one-fifth of the greenhouse gas emissions related to transportation." In addition, it will reinforce US leadership in the clean energy sector, he said. According to the report, using advanced diesel engines in tractor-trailers could lower their fuel consumption by up to 20 percent by 2020, and improved aerodynamics could yield an 11-percent reduction. Hybrid power trains could lower the fuel consumption of vehicles that stop frequently, such as garbage trucks and transit buses, by as much 35 percent. While these improvements would raise the price of the vehicle, the report notes that many of these technologies would pay for themselves handily, even at today's energy prices. The report estimates the costs and maximum fuel savings that could be achieved by 2020 if a combination of technologies were used. The best cost-benefit ratio was offered by tractor-trailers, whose fuel use could be cut by about 50 percent for about $84,600 per truck; the improvements would be paid for over ten years provided fuel prices are at least $1.10 per gallon. The fuel use of motor coaches could be lowered by 32 percent for an estimated $36,350 per bus, which would be cost-effective if the price of fuel is $1.70 per gallon or higher. Diesel was about $2.95 per gallon on June 7. Johnson predicted that lower fuel consumption would be more acceptable to the trucking industry. "This sector is driven far more by fuel efficiency" than light-duty vehicle users, he said. "The biggest users in this category are over-the-road tractor trailers. 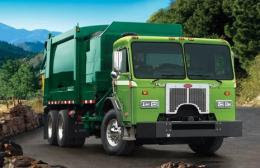 They burn 50 percent of fuel in heavy- and medium-duty vehicles, and drivers pay more attention to fuel consumption." Spark-ignition engines will continue to be the dominant type of engine in the US for the next 10 to 15 years and have seen many technology improvements that are producing significant fuel savings. As a result, automobile manufacturers are able to create packages of technologies that can meet cost and effectiveness targets in small, incremental steps. For example, the report notes the promise of cylinder deactivation - which enables a six- or eight-cylinder engine to run on fewer cylinders when full-engine power is not needed, such as on flat loads. Deactivation can reduce fuel consumption by as much as 10 percent at a retail vehicle price increase of $350 to $500, the report says. According to its estimates, adopting the full range of technologies to medium- and full-size passenger vehicles with spark-ignition engines could reduce fuel consumption by 29 percent at a cost of $2,200 to the consumer. Replacing spark-ignition engines with diesel engines and components would yield fuel savings of about 37 percent for approximately $5,900 per vehicle. Spark-ignition engines with hybrid components would reduce fuel consumption by 43 percent at an increase of $6,000 per vehicle. Johnson was less optimistic about how such recommendations might be received by the average car buyer. To meet tougher standards, he said, the auto industry will probably focus on measures like lowering vehicle weight, improving the efficiency of gasoline engines and trying to sell smaller cars. "Price is very important; hybrids and the diesels are costly, and a lot of people can't afford them," he says. "You can't expect them to sell in large numbers unless fuel sells for over four dollars a gallon." If Congress and the American public were truly committed to reducing fuel usage, Johnson said, we would support higher fuel taxes and use the revenue to encourage a more energy-efficient lifestyle. "Unfortunately," he said, "increasing the fuel tax is dead on arrival relative to the political process." The Energy Web is a power distribution system designed for managing a large-scale, widely distributed network of renewable energy sources. 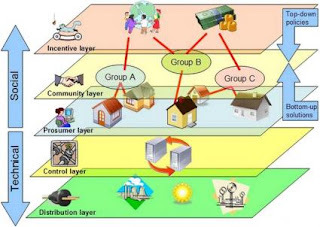 The figure shows the interaction of the different parts of the Energy Web, which includes incentives for "prosumers" (producers and consumers of energy) and allows autonomous self-organization of agents due to evolutionary processes. Image credit: Carreras, et al. ©2010 IEEE. In a new study, a team of researchers from the Italian research center CREATE-NET has outlined the ways in which decentralized, bottom-up design approaches could play a critical role in managing the complex, massive-scale networks that are becoming more and more widespread. Systems such as the Internet and ubiquitous computing (in which computing extends beyond the desktop computer to become integrated into everyday objects) are two examples of these kinds of large-scale, dynamic systems that operate in open environments with many autonomous users and are constantly evolving. In their study, the Italian team has discussed the essential features that a decentralized design approach needs in order to support these large-scale networks and provide the necessary degrees of reliability and dependability. As a case in point, they showed how these concepts could be applied to the management of the future generation of Smart Grids, characterized by the inclusion of a large number of distributed and/or renewable energy sources. They call the resulting system the Energy Web, which, as coauthor Daniele Miorandi explains, depicts a future in which bidirectional flows of energy will resemble the way information and data is nowadays exchanged on the Web. The key to the Energy Web design is the bottom-up approach, in which appropriate laws are implemented to allow desired global behaviors to emerge from only local interactions among individual components. In contrast to the traditional top-down approach, which focuses on performance, the new approach focuses on reliability, stressing how to react to internal failures rather than attempting to avoid them. With reliability in mind, desired behaviors include the ability to self-adapt to unknown conditions, to self-heal in the case of failures, to learn from previous experiences, and to self-protect against external threats. These behaviors require that the system evolves through time in the midst of a changing environment that cannot be accounted for in advance - something that the deterministic approach of traditional methods does not allow for. When applying this approach to the future Energy Web, the researchers explained how mechanisms and methods should be tuned in order to meet the nature and functional constraints of energy transport and distribution systems. Unlike today’s highly centralized energy systems’ architecture, which for the most part consists of a few large power plants supplying energy to a large number of consumers, the future Energy Web is expected to consist of a very different framework. Large numbers of widely distributed, small-scale energy sources (such as wind turbines and solar panels), smart meters in homes that actively manage consumption, and the emergence of “energy prosumers” (citizens that both produce and consume energy) make the future Energy Web look much more similar to the Internet than to existing power grids. 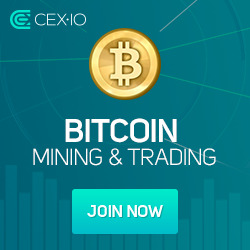 By carefully managing our future energy consumption, the researchers hope to bring about cost and energy savings, as well as a reduction in fossil-based energy production, by using a well-planned, decentralized approach.